Last week I was honored to serve as one of the co-leaders of a workshop titled “I Think That? Unconscious Bias: How to Spot It and Become an Inclusive Leader” at the International Council of Shopping Centers annual US Shopping Center Law Conference in Orlando, Fla. The highly interactive workshop focused on biases that are automatically triggered and generate quick judgments about people and situations based on one’s background, cultural environment and experiences. The presentation covered a number of studies and statistics about the prevalence of unconscious biases, and it concluded with helpful action plans and resources to identify and eliminate them in the workplace. One of the studies discussed found that during the first seven seconds we meet someone, we make 11 judgments about them, including about their dress, the way they speak, the way they shake your hand, and their stare or lack of eye contact. We then naturally assign people to social categories based on stories, books, movies, media and culture, and we cherry-pick information that supports our opinions. The end result is that we validate and reinforce our biases, making it that much harder to be neutral. In the workplace, such unconscious biases can hinder recruiting, hiring and retention efforts, and they unwittingly shape how businesses evaluate and promote employees despite their talent and performance. 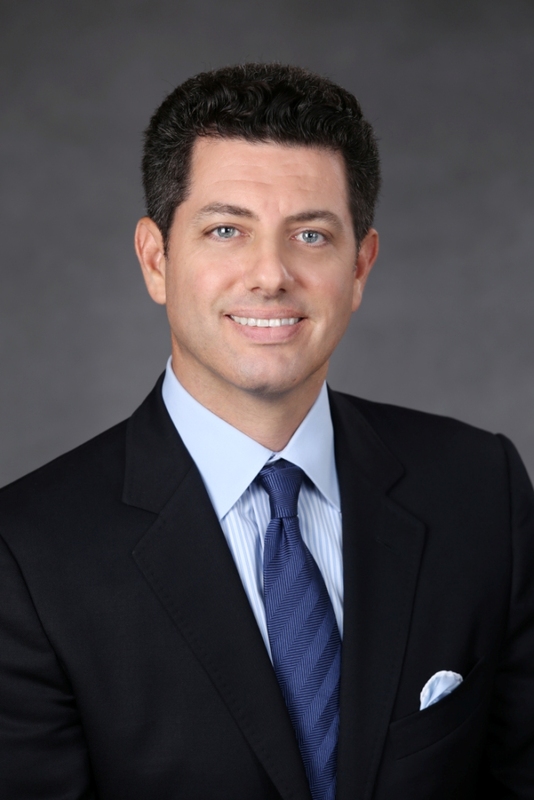 The firm’s Oscar R. Rivera will co-lead a workshop titled “I Think That? Unconscious Bias: How to Spot It and Become an Inclusive Leader” at the International Council of Shopping Centers annual US Shopping Center Law Conference. The ruling by the Third District Court of Appeal in Diaz v. Kosch, is certainly drawing quite a bit of industry attention, and there are a number of important takeaways from it for buyers, sellers and the professionals who work on their behalf. Nonetheless, on the same date, the buyers made the second deposit of $235,000, stating it was “with full rights reserved.” A week and a half later, they emailed a notice of termination to the sellers, who were amendable to it and responded by imposing no conditions on the return of the buyers’ full deposit. However, apparently due to demands for a release from legal liability by the buyers’ own broker (who also served as the escrow agent), the deposit was not returned by the escrow agent. Beginning in February, Citizens will be able to force commercial and residential property policyholders who file claims for all non-weather water losses to use the company’s preapproved contractor or agree to limit their total payout to $10,000. This arbitrary figure is artificially low, as many claims involving water losses often cost much more to repair. It is no surprise that Citizens and other insurance carriers would seek to impose such a measure in order to keep their claim payouts as low as possible. By forcing policyholders to use carrier-preferred contractors, insurers would be able to negotiate deeply discounted rates from their selected vendors, which will always be incentivized to acquiesce to the insurance companies in order to maintain their preferred status. Property owners with damages in excess of $10,000 will be unable to vet and select the contractor of their choice unless they are willing to pay the additional expenses. Those who have relationships with companies in the construction field will be unable to turn to their most trusted sources unless they agree to the $10,000 cap. For the policyholders, the fact that the insurance company and the contractor’s goals for keeping costs as low as possible would be completely aligned will create a significant conflict of interest between them and the contractor. This naturally leads to issues involving shoddy work and construction, which could easily leave property owners with no other recourse but to resort to litigation. 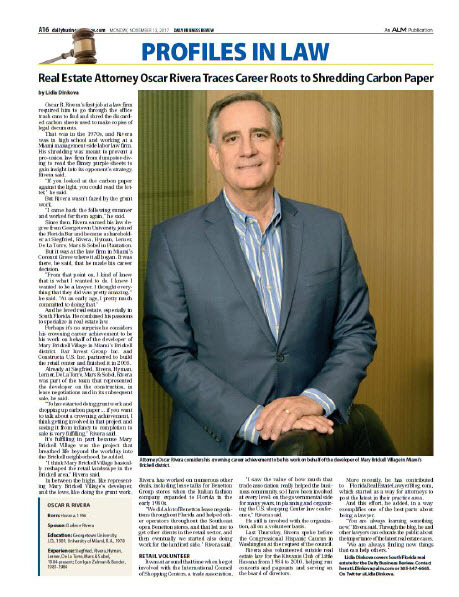 Steven M. Siegfried, our firm’s founder who launched the practice 40 years ago in 1977, was the subject of a “Profiles in Law” article published by the Daily Business Review, South Florida’s exclusive business daily and official court newspaper. The article, which appears in today’s edition of the newspaper, chronicles his career and highlights his achievements as a construction law specialist, professor and writer for the last four decades. Steven M. Siegfried wrote the book on construction law. The literal book. The one the American Bar Association published in 1987 as an early nod to a then-fledgling practice area. 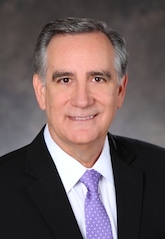 His work, “Introduction to Construction Law,” became a standard reference for real estate and construction lawyers across Florida for the past three decades. 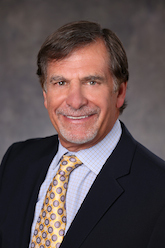 Over several incarnations, it helped establish the Siegfried Rivera Hyman Lerner De La Torre Mars & Sobel partner as a foremost authority on a specialty he’s long championed. The article notes that Steve’s other publications focus on construction lien law, construction defects, condominium warranty claims and the statute of limitations, culminating with his authoring of “Florida Construction Law” by Aspen Publishers in 2001. This year our firm is celebrating the 40th anniversary of its founding. In 1977, Steven M. Siegfried had the vision to bring great lawyers and supporting staff together to focus on every aspect of Florida’s burgeoning construction, community association and real estate industries.